Deutsche Gesellschaft für Internationale Zusammenarbeit (GIZ) and Europe-Georgia Institute are partners since 2018. 8 scholars of Europe-Georgia Institute were researching the local budget of Gori and Telavi municipalities, both, the expenditure and the spending part under the local government supporting program. Aforementioned research aims to be a future guideline for the local governments, that will give a hand them in planning and directing functions of budgeting. 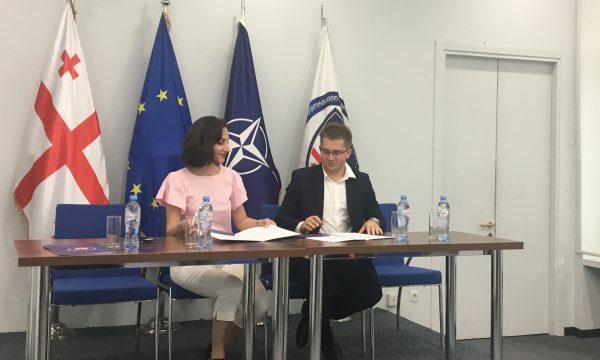 The cooperation between Friedrich Naumann Foundation and Europe-Georgia Institute started on May of 2018. In 2018 in Georgia Krynica Economic Forum took place for the first time. Europe-Georgia Institute organized the youth part of this Forum. Friedrich Naumann Foundation supported EGI to deliver Armenian and Azerbaijani students in Georgia. Representatives of this foundation are regularly lecturing at the Civic Action School, which is one of the main projects of EGI. On the 2nd of October in 2018 at the Free University of Tbilisi there was held a meeting with Torsten Herbst, Deputy to Bundestag. Within the range of the event the new platform – Urban Lab, was established. The platform will work about city problems. Europe-Georgia Institute and Malmo University are partners since 2017, after the first joint conference aiming the development of the local government in Gori municipality. The conference was funded by the Swedish Institute. As a result of the conference, new youth organization was created in Gori municipality, which is a very active partner of the local government, implementing youth projects in the municipality. Europe-Georgia Institute and Information center on NATO & EU are partners since founding our organization. As a result of 4 years of partnership, these two organizations created a 6-weekend workshop on the NATO and EU topics. Each year, Information Center and Europe-Georgia Institute are organizing introductory meetings and lectures in different schools of one specific municipality (different municipality each year) on the topic of Euro-Atlantic integration of Georgia. It is worth to mention that those organizations have the memorandum of partnership, strengthening the cooperation. “The President Reserve Fund” is a main partner o Europe-Georgia Institute. Since 2016, as a result of the partnership, those two organizations have implemented large scale projects like: “Your Voice – Our Future”, “Initiation”, “Civic Action School”. Was created unprecedented, countrywide youth network in Georgia, which has already implemented around 120 small and big projects. Europe-Georgia Institute and NATO Liaison Office Georgia are partners since 2015. 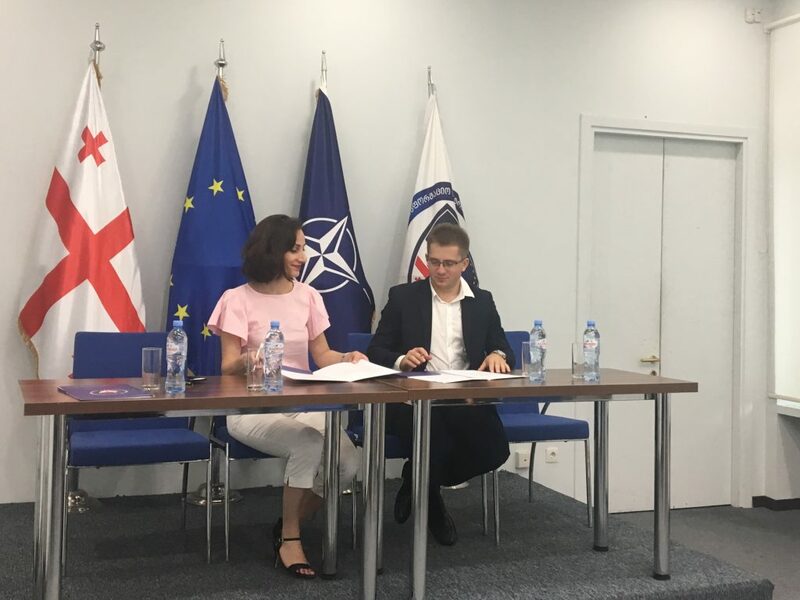 With the support of NATO Liaison Office Georgia, Europe-Georgia Institute has implemented informational meeting on NATO in different municipalities of Georgi like Gori, Kharagauli, Khulo, and Poti. The intense partnership between the Embassy of Israel in Georgia and Europe-Georgia Institute starts since 2018, by that time, Young Leaders of Israel has visited Georgia, as a result of the partnership of those two institutes. The aforementioned project has strengthened partnership among youth generations of those two countries, Israel and Georgia, and future events and projects have been planned.